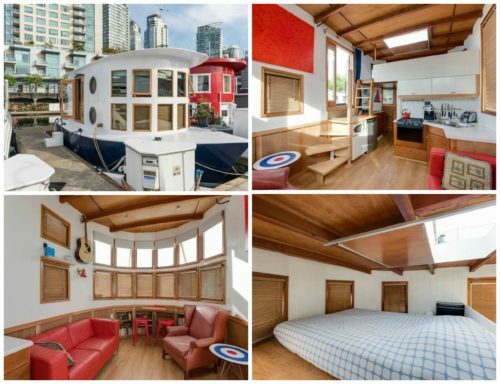 Peek Inside a Tiny Vancouver Houseboat For Sale, tiny home and prefab building enthusiasts out there? It is a moveable, alternative type of dwelling that has gotten some buzz recently, although it has always been on the table as far as an unusual option for those who live near the water. This houseboat went up for sale in Vancouver recently, where housing prices have been skyrocketing in line with Canada’s mass immigration policy, making most houses affordable for Canadians themselves in some areas (like the entire Vancouver area). 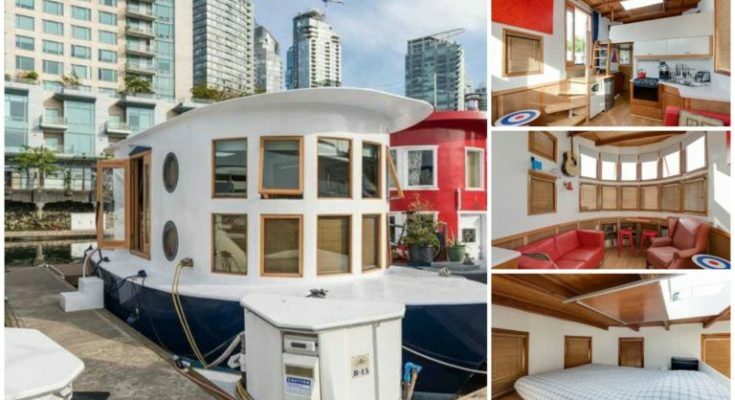 So while this tiny houseboat might seem expensive at just under $230,000 Canadian dollars — that’s $175,000 American dollars — it’s way cheaper than any one bedroom apartment you can find in the city. It is a tiny house, though. By that I mean, it is quite small. It’s a 300 square foot tiny home. In it’s favor is the location: Coal Harbour Marina. That’s in a posh Vancouver neighborhood, and very close to the main streets of the downtown core. In other words, you can walk from this tiny house to downtown. Other features of this tiny house on water: lots of glazing, so lots of natural light. Built in storage and a pull out table also help with managing personal belongings in the tiny space. The bedroom is a loft, and the loft opens to access the houseboat’s roof. Address: 1525 Coal Harbour Quay | Engel & Völkers (website requires registration to see the listing page). For more house boats and other interesting homes, find them in the Building Homes and Living directory.